Club Penguin Cheats by Mimo777 Club Penguin Cheats by Mimo777: Club Penguin Fashion By Happy77! 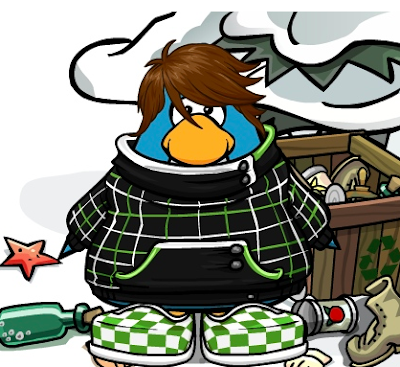 Club Penguin's Happy77 is sharing some styles seen at the Fashion Show! Z Kamora said: "I've seen a penguin named Sunoco721 who wears the COOLEST fashions! Like a cool blue dress, sunglasses, and when she's EPF, she wears agent clothes and other cool stuff!" Penguinfan said: "WOW! That's SO cool! I have seen a penguin with amazing outfits! His name is Errorunvalid." Happy77 wants you to let Club Penguin know if you see anymore fashionable penguins and let them know what you liked about them. Your selections may be featured on the Blog! Cool! 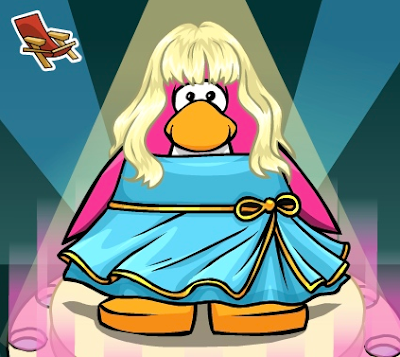 Hey Mimo777 I've seen this penguin who wears a nice green dress, wears a necklace with a musical note on her neck,blondish hair and wears sunglasses. My friend Hunterm6 always has the coolest style! I try to base mine off of his, HAHA!